The NMAAHC has generously made a limited number of passes available for NHD students and families. 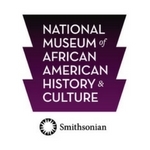 NHD students and chaperones are invited to join the National Museum of African American History and Culture (NMAAHC) to prepare for the 2020 contest year. Search the galleries for potential project topics on individuals, groups, and events that broke barriers in history. NHD students and chaperones will compete in small teams (2 - 4 people) based upon their competition division (junior, senior, or chaperone) during this program. This program includes entry to the museum for this day, so participants can stay to explore once the program concludes. Note: there is no re-entry to the museum once you exit. This program is for both Junior and Senior Division students. It has a capacity of 75 participants. Wednesday, June 12, 8:45 a.m. to 10:00 a.m. In June 2019, NMAAHC will open at 1 p.m. to allow groups of nine or fewer to enter the museum without a pass. Please note that this is subject to change and the museum may reach a maximum capacity and need to change this plan.